For business owners, high-quality sleep isn’t just a good idea – it’s essential for longterm growth and success … these tricks for better sleep will help. 50% of business owners get less than 6 hours of sleep per night. When sleep-deprived, you’re more likely to have poorer working memory and will have a 50% slower response time and a lower accuracy rate on simple tasks. Yikes! Being a business owner is hard enough, is it not? The following five tricks can help get you that quality sleep you need. Perhaps one of them (or more) will work for you! Thermostat to 60 degrees? Check. Room-darkening shades drawn? Check. White noise machine on? Check. Eye mask on? Check. Ear plugs in? Check. As extensive as it may sound, this is my mental checklist before lights out each and every night. Surveying your environment for distractions of all kinds can make a big difference. Which of the above could possibly help your sleep? I don’t have to guess whether or not I sleep better on nights when I’ve exercised that day – I know I do. And by the way, exercise doesn’t have to mean anything vigorous. For me, it means an hour-long brisk walk in the park. 3. Rethink those cat naps. As lovely as naps can be (and for some they work wonders), I’ve learned that naps detract from my quality of sleep at night. 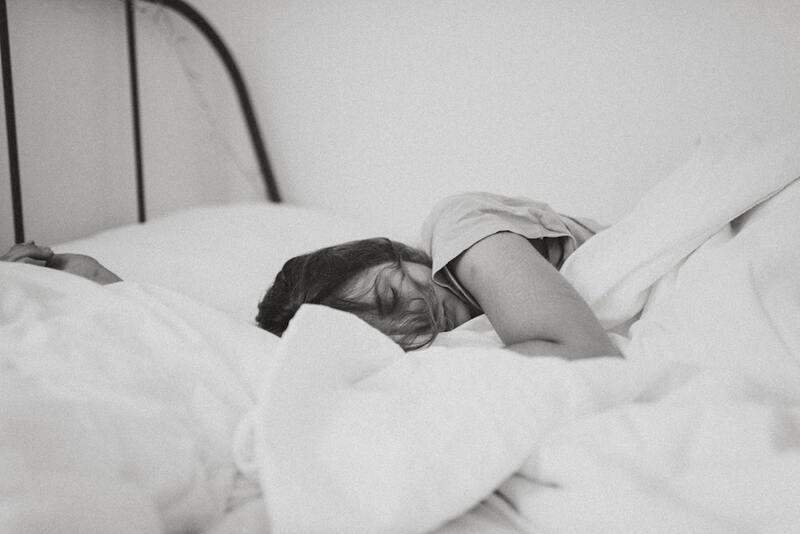 If you’re napping routinely and find your nighttime sleep isn’t as high quality as you’d like, try pressing through the day without that cat nap and see if things improve. 4. Avoid screentime an hour before bed. It’s hard, I know, but try this as an experiment: charge your phone in a room other than your bedroom and for one hour before you go to sleep, stick to reading a book/magazine or talking with your partner in bed. This helps to wind down your brain and distances you a bit from the work, etc. that can occupy your mind in the wee hours. For more info on this topic, check out my post How Technology May Be Ruining Your Sleep. 5. Try strongly brewed chamomile tea. Chamomile is widely regarded as a mild tranquilizer and sleep-aid. To give it a try, steep two bags of chamomile tea in 1/4 cup of boiling water (so it’s very strong and won’t make for bathroom trips in the night). Above all – make sleep a priority! For as long as I can remember, I’ve needed 8 hours of sleep a night. I decided early on to put sleep first for one reason alone: time and time again I find that when I get less than the sleep I need, my work suffers both in quality and quantity. As tempting as it can be to get up earlier and squeeze in that extra hour or two of work, I’ve learned that I’m better off (and my business is better off) if I get the sleep I need, and then work harder and smarter in my waking fully-rested hours. What helps you to sleep better? Let me know in the comments below. Motion sometimes puts me to sleep…….. Sometimes I drift off while praying………..
Also like to remember and list things I’m grateful for as I go to sleep.